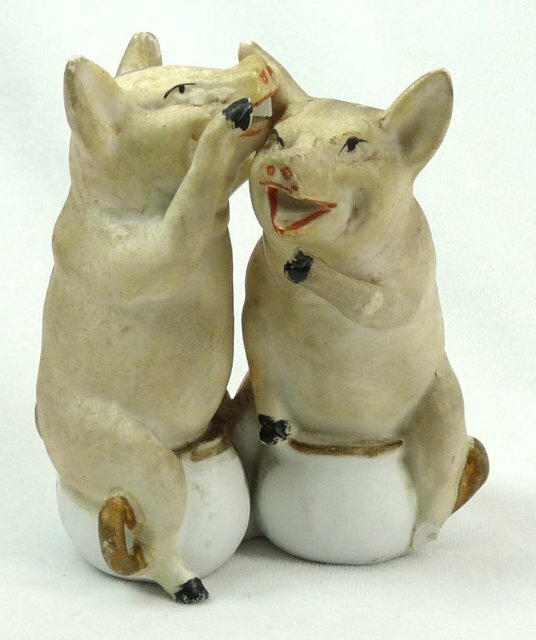 An antique Bisque pig figurine most likely German-made of 2 white pigs sitting in little white cups; one telling the other a secret or whispering. 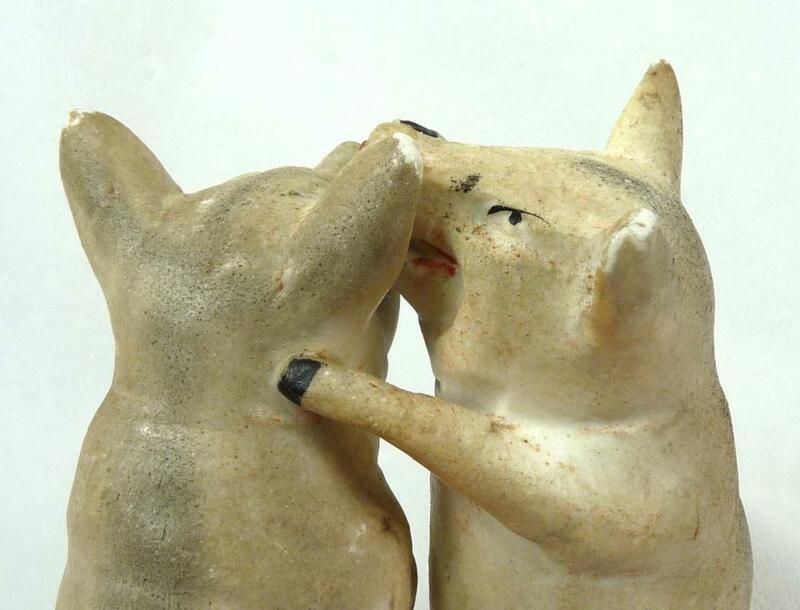 These adorable pig characters have wonderful facial expressions and are nicely detailed. 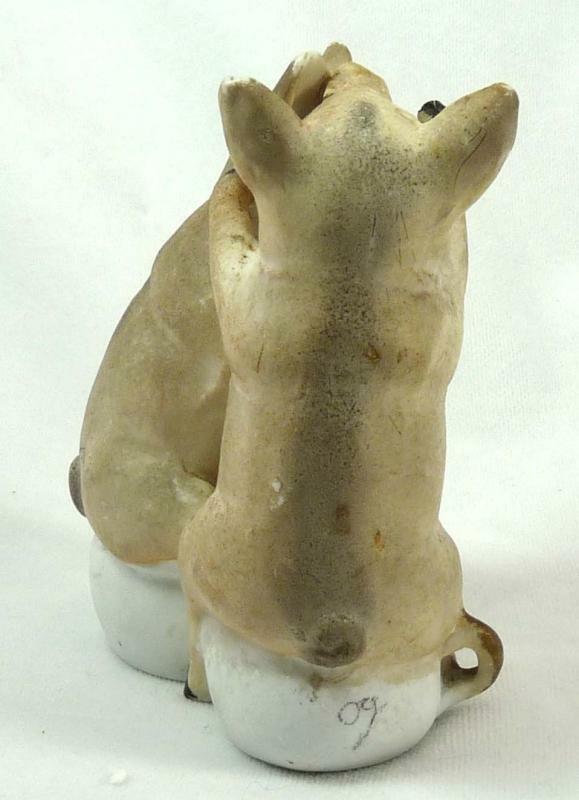 This figurine measures approximately 4" tall. The foot of the pig on the left is broken off. The back is embossed with the number 326 and another number or letter that we cannot make out. 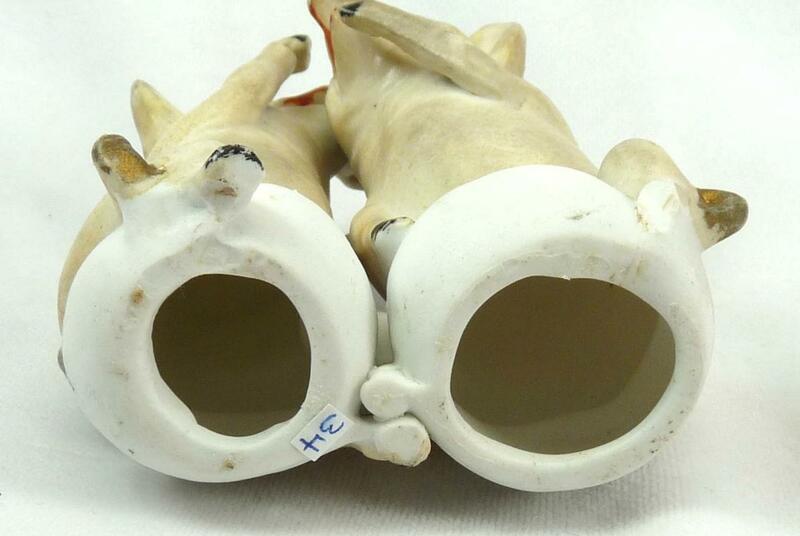 Please note: The white spots on the tips of the pigs' ears are wear and not chips. 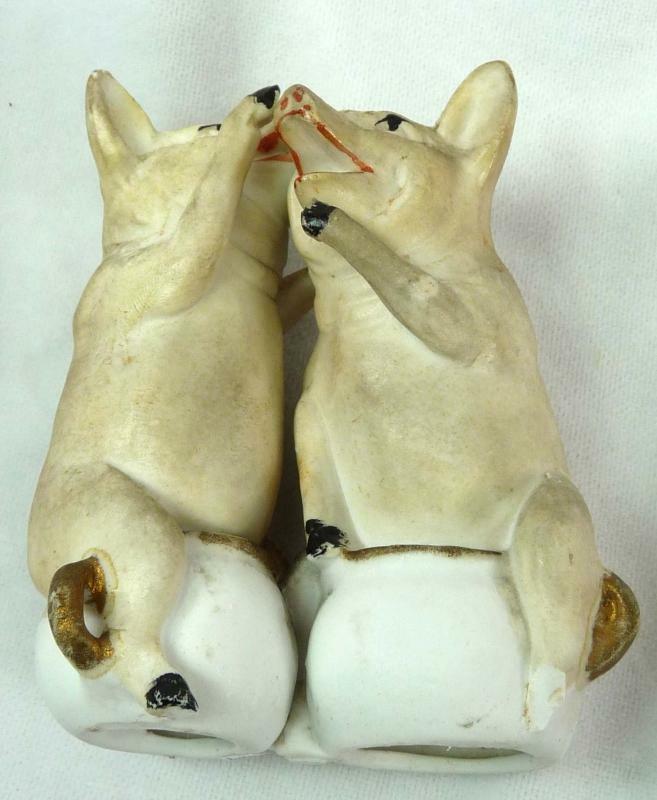 A nice collectible antique German pig figurine. 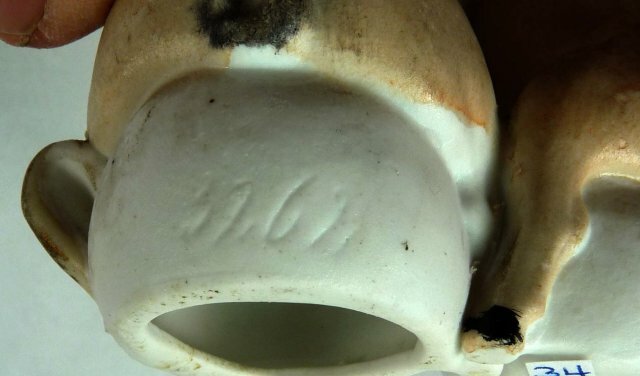 Items Similar To "Old German Bisque 2 pink PIGS Sitting on Cup Whispering"